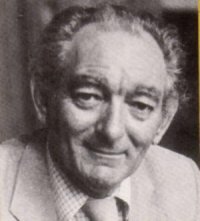 It is with immense sadness that members of Irish PEN learned of the death of Brian Friel, a winner of the Irish PEN Award in 2000, Brian was President of Irish PEN from 2003 onwards. He was an outstanding playwright and shed lustre on the Irish literary scene for many years. He will be greatly missed by his friends and admirers worldwide and not least by members of Irish PEN. This entry was posted in Uncategorized on 9 January, 2015 by Vanessa O'loughlin.